People across the United Kingdom will soon go to the polls to vote on whether to remain part of the European Union. A new analysis conducted by the Pew Research Centre has found that the British aren’t the only ones with doubts about the institution. 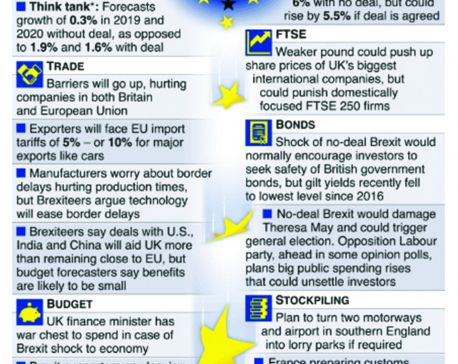 It found that Euroscepticism is on the rise with 47 percent of Europeans holding an unfavorable view of the EU. On a country by country basis, 71 percent of people in austerity-ravaged Greece find the EU unfavorable, along with 61 percent in France, 49 percent in Spain and 48 percent in the UK. 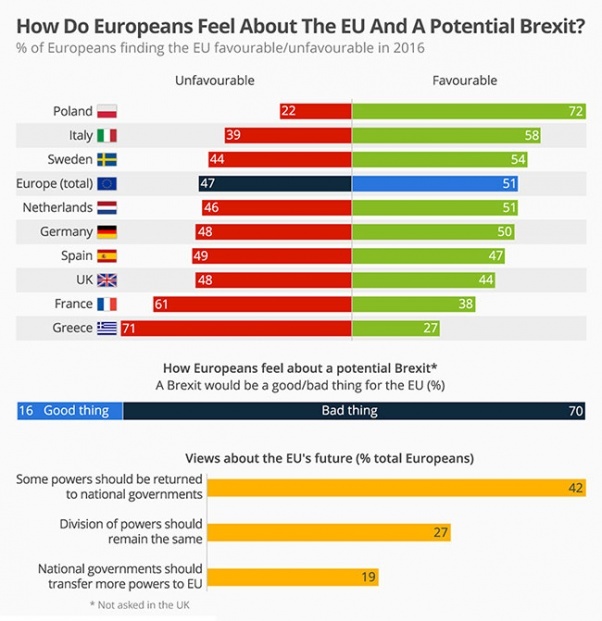 Pew also found that 42 percent of Europeans would like some powers returned to national governments with only 19 percent believing national governments should transfer more power to the EU. When it comes to the issue of a potential Brexit, 7 out of every 10 people in Europe say that Britain leaving the EU would be a bad thing.